We believe a true dive bar is hidden in plain sight with good prices and slightly rough edges. 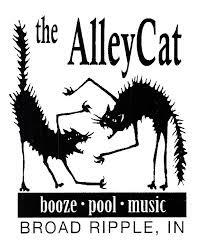 Broad Ripple’s Alley Cat fulfills these requirements and then some. Awesome jukebox, darts, a shot and a cold one, what more could you ask for? To help you through the actual day of reckoning, we've drafted a list of go-to activities that just might distract you from the looming prospect of dying alone. Need to get away from the world? Enjoy these refuges from the outside world where beer, food and conversation are all that matters.